GP>GF – Global Wind Day Power Failure & Further Facts From WUWT etc. Global Wind Day Power Failure for the warmists & Further Facts From WUWT etc. * CLICK HERE – An excercise others may wish to take note of, if they wish to oppose the imposition of wind turbines and the creeping industrialisation of Rural Britain – with no view unsullied by these monstrous intrusuve & largely useless structures. Yesterday was Global Wind Day, a worldwide event organised by the European Wind Energy Association and the Global Wind Energy Council to help the public discover “wind, its power and the possibilities it holds to reshape our energy systems, decarbonise our economies and boost jobs and growth“. It is worth noting from Andrew Watt’s site ‘Watts Up With That’ that yet another scientific analysis and report has produced clear evidence, yet again, that Global Warming & Climate Change are clearly NOT a man made phenomenon! SYDNEY — University of New South Wales Australia-led research on limestone formations in a remote Scottish cave has produced a unique 3000-year-long record of climatic variations that may have influenced historical events including the fall of the Roman Empire and the Viking Age of expansion. The study of five stalagmites in Roaring Cave north of Ullapool in north-west Scotland is the first to use a compilation of cave measurements to track changes in a climate phenomenon called the North Atlantic Oscillation. ‘Our results also provide the longest annual record of this important phenomenon, which has a big impact on the climate in Europe,’ says study leader, UNSW Professor Andy Baker. ‘It confirms that the during the Medieval Warm Period between 1080 and 1430 the oscillation index was in an unusually prolonged positive phase, which brings increased rain to Scotland and drier conditions in the western Mediterranean,’ says Baker, of the UNSW Connected Waters Initiative Research Centre. ‘Our results also reveal there was another persistent positive phase between 290 and 550, which coincides with the decline of Rome and a period of intensified human migration in southern Europe during the Dark Ages. 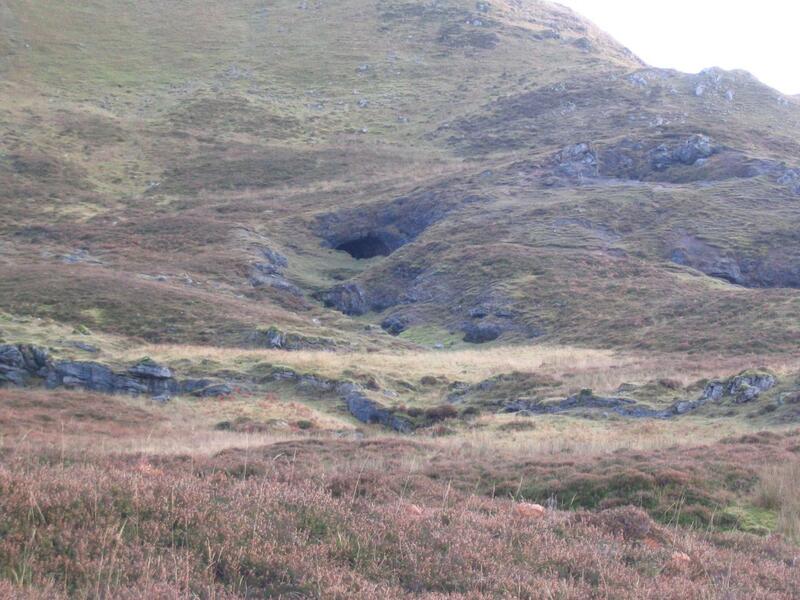 Roaring Cave, or Uamh an Tartair, in northwest Scotland, is a shallow cave beneath a blanket of peat that has accumulated during the past 4000 years. Rainfall levels in this region closely correspond with the strength of the oscillation index in winter, with higher precipitation when it is positive. And the upward rate of growth of stalagmites in the cave is very sensitive to rainfall — the more water in the peat, the more slowly the stalagmites grow. ‘We painstakingly measured the thickness of each annual growth ring in five stalagmites taken from the cave, including one that provides a continuous annual record spanning more than 1800 years,’ says Baker. ‘Our research provides a climate context for some of the big human migration events in Europe and allows us to start building hypotheses about the impact of environment on societal change,’ says Baker. The team includes researcher from UNSW, the University of Lausanne in Switzerland and the University of Arizona in the U.S. Annually laminated stalagmites can be used to construct a precise chronology, and variations in laminae thickness provide an annual growth-rate record that can be used as a proxy for past climate and environmental change. Here, we present and analyse the first composite speleothem annual growth-rate record based on five stalagmites from the same cave system in northwest Scotland, where precipitation is sensitive to North Atlantic climate variability and the winter North Atlantic Oscillation (NAO). Our 3000-year record confirms persistently low growth-rates, reflective of positive NAO states, during the Medieval Climate Anomaly (MCA). Another persistently low growth period occurring at 290-550 CE coincides with the European Migration Period, and a subsequent period of sustained fast growth-rate (negative NAO) from 600-900 AD provides the climate context for the Viking Age in northern and western Europe.